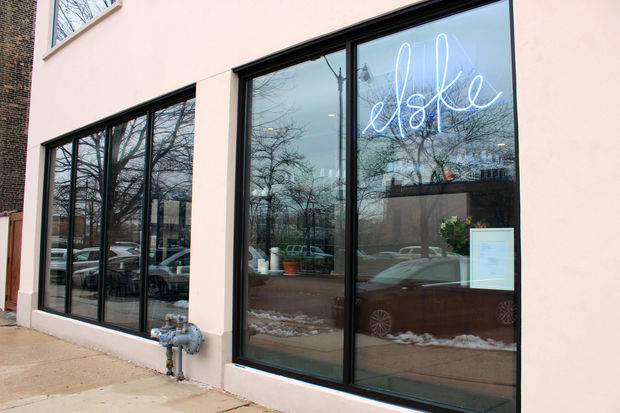 Chefs Anna and David Posey will open Elske in the West Loop this week. WEST LOOP — A chef power couple who have worked in some of the hottest kitchens in the West Loop will open a restaurant of their own on Randolph's restaurant row this week. 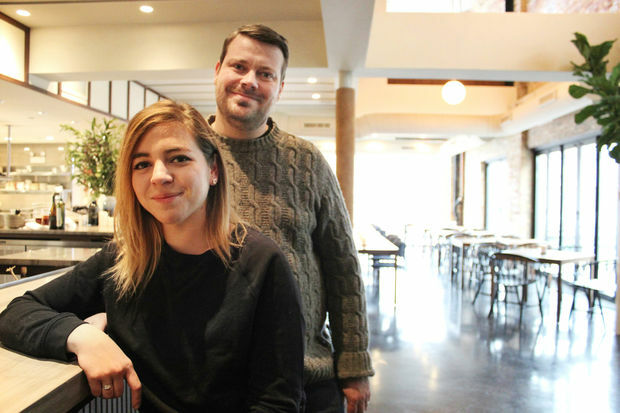 David Posey, longtime chef de cuisine at Blackbird, and his wife, Anna Posey, former executive pastry chef at The Publican, will open Elske, a Nordic-influenced New American restaurant at 1350 W. Randolph St. Wednesday. 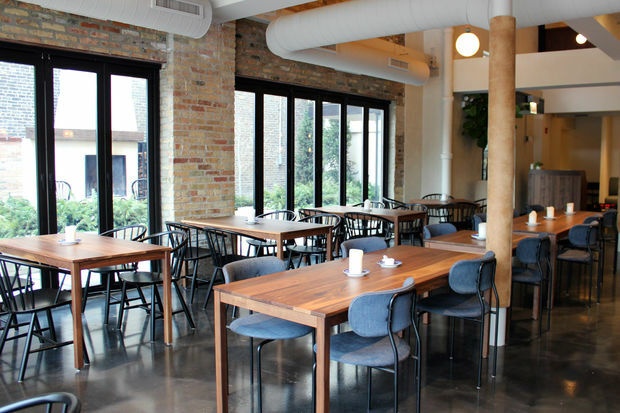 Located steps from new hotspot Smyth & The Loyalist, Elske is now taking reservations online. The restaurant's seasonal menu features an eight-course tasting menu for $80, offered with wine pairings for $130. Other dishes include smoked trout with radish and potato ($15), soft scrambled eggs with confit chicken thigh and crispy grains ($20) and celeriac risotto with hazelnuts, sherry and black truffle ($18). A full menu is below. Like the restaurant's minimalist menu, Elske's design is also influenced by the Scandinavian aesthetic — clean, light and open. 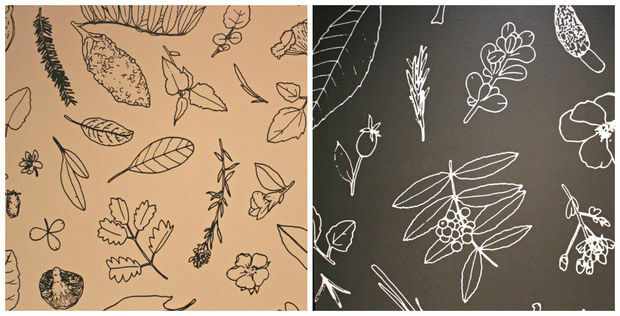 Wallpaper in the bathrooms and elevator features Anna's sketches (she's also an accomplished artist) and the restaurant will also highlight fine art by David's brother, Mark Posey. 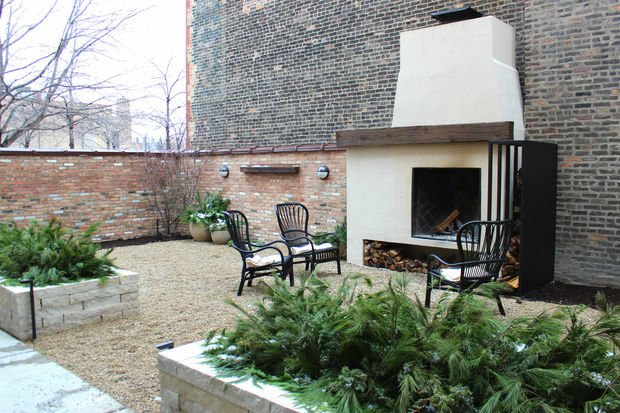 Next to the restaurant's entrance, an outdoor patio with reclaimed brick, evergreens, an edible garden and a fireplace is the perfect spot to share a post-meal cocktail, Anna Posey said. The restaurant features seating for 55 on the ground floor with plans to open a second-floor private dining room in February and outdoor dining this summer. The couple, who now live in Lakeview, are transforming the building's third floor into a loft where they plan to live. David Posey, 33, left Blackbird for good in December 2015 after nine years at the award-winning restaurant on Randolph. An Alinea alum, he was nominated for the James Beard Foundation's Rising Star Chef award in 2013 and 2014. Anna Posey, 30, worked as executive pastry chef at The Publican for three years and previously worked at Publican Quality Meats and Blackbird, One Off Hospitality restaurants in the West Loop, and Everest. Both count executive chef/partner Paul Kahan, who spoke at the couple's wedding, as a "super supportive" mentor, Anna Posey said. Kahan, an award-winning restaurateur, was among the first to preview Elske's menu at a friends and family night this weekend. "Paul said he was like a proud dad," David Posey said. The couple worked with real estate agents for months to identify a potential site but it was actually David Posey's father who found them the perfect site. "My dad lives in California and he is friends with someone who knew the building's owner" here, Posey said. Despite his dad's advice, David didn't see the building for months — the couple sought a much smaller space — but the 9,000-square-foot West Randolph building won them over. The Poseys bought the building in May. "I thought the space was unbelievable," David Posey said. The building "had enormous potential." David and Anna Posey first announced plans to open their own restaurant in September 2015. The restaurant space formerly housed Sawtooth Restaurant and Lounge, closed in April 2015 after a shooting near the club and legal issues.